Estonia’s Swedes survived revolution, invasion and exile. Their struggles tell the story of 20th-century Europe. In 1993 I found myself living on a former collective farm in a remote border protection zone in western Estonia. The place was like small collective farms everywhere in the Soviet Union: there was a cultural hall, a school, a dining room (then closed), some rusty workshops and concrete blocks of flats, built on the field behind the former manor house, which had been left to decay. There was a manned barrier on the only road in to the Noarootsi Peninsula through salty marshland – until 1991, everyone had to show their papers there, no matter how well known they were to the Soviet soldiers on duty. Abandoned watchtowers dotted the coastline, and in some areas you could still see the intermittent line in the sand 50 metres from the sea, beyond which local people were not allowed to go. When the Soviet Union dissolved in December 1991 I was working on a PhD in the anthropology department at University College London, on Melanesian systems of law. I changed my thesis to a Soviet theme: looking at how national minorities in Soviet countries reconnected with their history to form new national identities. I decided to focus on Estonian Swedes, and chose the collective farm in western Estonia as a field site. 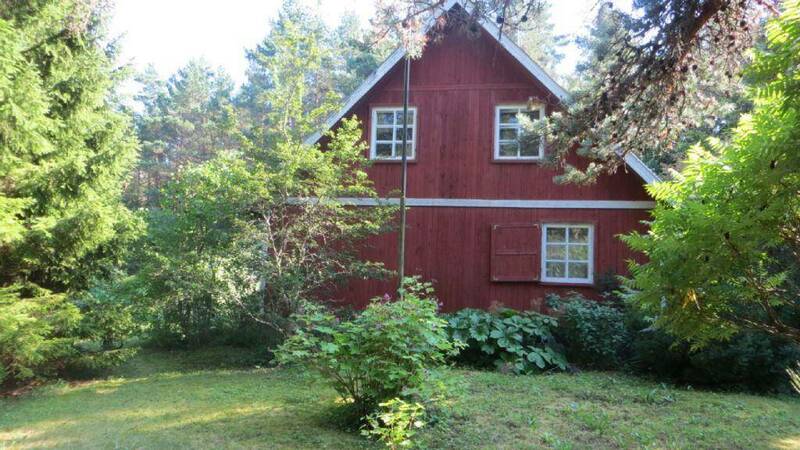 The village I lived in – Birkas in Swedish, Pürksi in Estonian – had become a centre for Swedishness in the independence era between the wars, and the Swedish minority culture was now being revived there. It was desolate, yet also compelling, a region affected by all the major European political events of the 20th century: the first revolution in 1905, the First World War, the Russian Revolution, brief independence, Soviet and Nazi occupations and, finally, in 1991, independence. I was interested in the small community of Swedes, a minority within another minority, stacked like Russian dolls inside the Russian empire and the Soviet Union. And I wanted to know how Soviet censorship had affected local people’s perception and knowledge of history. Swedish-speaking groups had settled in Estonia in the early Middle Ages, probably migrating down from Finland. 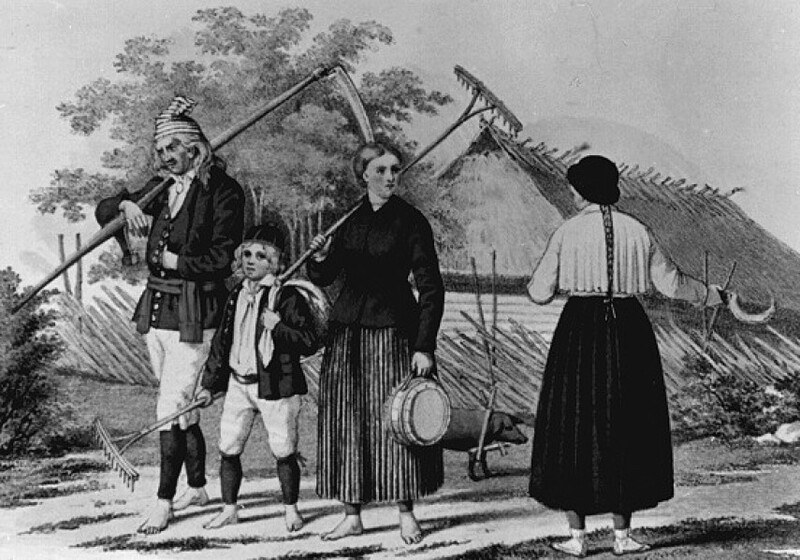 They lived on the islands and west coast of Estonia, fishing, farming and trading across the Baltic Sea. After independence in 1918 and the First World War, Swedish tourists started coming to Estonia. The Estonian Swedes, in their traditional folk costumes, stared solemnly into a hundred cameras, fetched water for the tourists from their wells, and talked about their feelings for the Motherland, which few of them had ever seen. The tourists cycled from farm to farm, slept in hay barns and delighted in the kinship. It was patronising, perhaps, and often sentimental, but it was also helpful: from the 1880s onwards, evangelical missionaries travelled from Sweden to support and spiritually enlighten the Estonian Swedes, who lived in great poverty. After independence, nurses, teachers and agronomists followed. Estonian Swedish cultural activists started newspapers, journals and schools. Swedish people were moved by the hardship of the Swedish minority, and by their struggle for cultural survival. The Russifying policies of the tsarist empire had been harsh. In addition, the large estates and the repressive bureaucracy and censorship had entrenched the poverty of the rural population. To counteract this, independent Estonia instituted land reform, minority protection and democracy, in an attempt to encourage a thriving civil society to emerge. The discussion about the preservation of the Swedish culture in Estonia was part of debates about minorities in the new nation states of Europe following the First World War. Finland, Estonia, Lithuania, Latvia, Poland, Czechoslovakia and Yugoslavia came into being, in the spirit fostered by President Woodrow Wilson, whose Fourteen Points of 1918 outlined a postwar Europe of free trade and democracy. The former Russian territories, however, were not given independence by the newly created Soviet Union: the emerging countries had to fight for it. In the case of Finland and the Baltic states the battle was, eventually, successful. In Ukraine, where three empires met, the First World War turned into a civil war. In 1922 about half of Ukraine formed one of the original Soviet Socialist Republics; the rest of the region was parcelled up between Poland, Belarus, Russia, Moldova, Romania and Czechoslovakia. Georgia, like the Baltic states, declared independence in 1918. It didn’t last long. For the countries that escaped Soviet control, the 1920s were an era of new parliamentary democracies, each with minority populations struggling for recognition and protection. The talk was of disarmament and diplomacy, of the League of Nations and the balance of power. It didn’t last long. All the efforts of benign philanthropists and missionaries of that era, of nurses, doctors, agronomists and teachers, came to nothing in the end. From the summer of 1940 to the summer of 1941 the Baltic states were occupied by the Soviet Union. It was a brutal process, culminating in mass deportations, mainly of professional families. In June 1941 Operation Barbarossa, the Nazi invasion of the Soviet Union, began. The Wehrmacht, followed by SS forces and the specialised Einsatzgruppen, tasked with finding and killing Jews, unleashed the Holocaust in what the American historian Timothy Snyder has called the “Bloodlands”: the killing fields across Poland, Ukraine, Lithuania, Latvia and Belarus. Estonia, albeit with a small Jewish population, was part of it, too. Only a handful of Estonian Jews in hiding survived the Holocaust, and many thousands of people from other countries were transported to the little-known Estonian concentration camps. And the Estonian Swedes? From 1943, the Wehrmacht began the forced recruitment of Swedish men (Estonian men were already subject to conscription). Many families fled to Sweden in small boats. In 1944, several high-ranking Nazis – including Bruno Peter Kleist, an SS officer from the inner circle of Joachim von Ribbentrop, the German foreign minister – were involved in secret negotiations with the Allies. According to the historian Reinhard Doerries, Kleist travelled to Stockholm to discuss the settlement of ethnic Germans in occupied territories, and the resettlement of the ethnic Swedes from Estonia to Sweden. Heinrich Himmler, the SS leader, had also entered into negotiations with various people in Sweden through his massage therapist, Felix Kersten, a Baltic German who was hired by Himmler to treat his painful stomach condition. Kersten had become famous in the 1920s and 1930s, treating royalty and celebrities. On 20 April 1945, Norbert Masur, a Jewish refugee in Sweden who was a representative of the World Jewish Congress, travelled to Germany with Kersten. They met Walter Schellenberg, head of German foreign intelligence, and Himmler. That conversation was the beginning of the initiative to save some of the inmates of the concentration camps – some Jewish, some with Scandinavian connections – by evacuating them to Sweden on Swedish Red Cross buses (the “white buses”). The previous year, the Swedish govern­ment had made a deal with the SS about the Estonian Swedes. 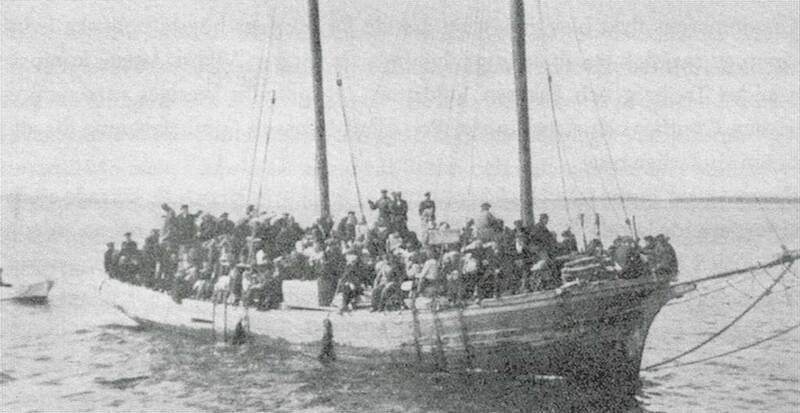 For a payment of 50 Swedish crowns per person, the SS evacuated some 7,000 Swedes, out of a population of 8,000, to safety in Sweden. The Wehrmacht then settled ethnic Estonians evacuated from Russia in the abandoned farmhouses. In autumn 1944, Soviet forces reoccupied Estonia. After the wave of deportations from the countryside in March 1949, followed by forced collectivisation, the distinction between the locals and the refugees ceased to matter. By now there were few Swedish families left. The ones that had remained came under suspicion because they had relatives abroad, and were banned from joining fishing collectives. Their children were barred from the Young Pioneers, the Soviet youth movement. Soon most of them took Soviet Estonian identities: it was safer that way. In turn, when the Estonian Swedes came to Sweden they were told to assimilate as best they could, and not talk about the Nazi evacuation. And assimilate they did. After 1989, there was a new Swedish revival in Estonia – exiled people, former owners, came back to visit. Seeing them next to their cousins left behind made me realise the marks repressive regimes leave on their people. Living in a benign welfare state makes for good height and good teeth; living in a repressive state makes for the opposite. 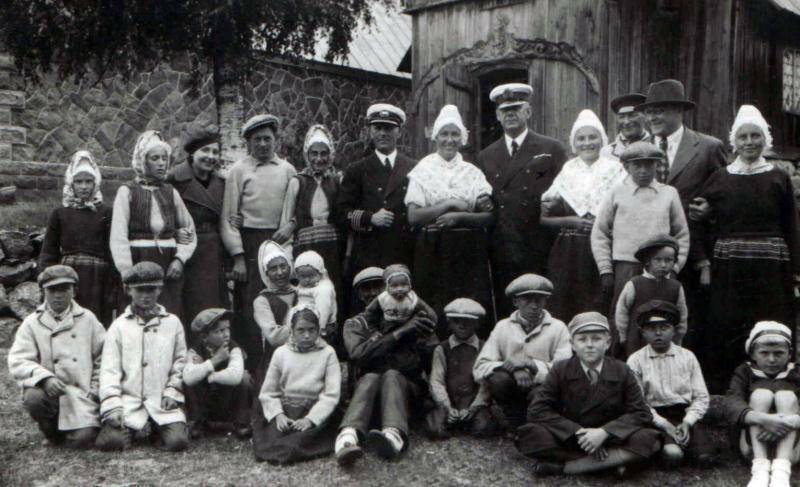 The few Swedes who had remained in Estonia looked so much older than their relatives who had left as children. It is easy to assume that the only people who are affected by repression are dissidents or minorities, and to think that the only rights abused in the Soviet Union were civil and political rights. In fact, people’s social and economic rights were equally violated. On the collective farm, a woman told me about losing her baby in hospital and seeing a political delegation troop through the ward. Not one of them took their shoes off, or washed their hands, as all the patients’ relatives had to do. To her, that moment symbolised Soviet oppression. After I’d lived on the former collective farm for nearly a year, I gave a speech to a group of diplomats visiting the peninsula. I outlined my research project, and described some of the current problems in the community as I saw it. The headmistress of the school, who was married to the former director of the collective farm, was not happy with what I had said. What should I have said? I asked Alar and Hele, my neighbours and friends. “That everything is all right,” Alar said ironically. “That everything is wonderful.” The Soviet tendency to conceal reality was still alive and well. I had gone to the collective farm to investigate people’s sense of the past in the context of the Soviet censorship of history. What did people remember about the war, the deportations and collectivisation? The intellectual elite had been decimated in the Baltic states and the other newly incorporated Soviet republics. Two hundred thousand library books were destroyed; independent publishing was over; censorship lists were drawn up; schools and universities became political institutions. By the end of the war most intellectuals had either disappeared or become conformists. When I finished my speech about the Swedish community, one of the French diplomats in the audience seemed surprised. “But your English is very good,” he said. “Do you come from this area?” I didn’t, of course. But I might have done – strangely, I have never lived anywhere where I melted in better. Many of the villagers had names like mine: German-sounding without being German. We dressed alike, and looked alike. The old Swedes searched for Swedish words, their mother tongue hidden, like mine, behind another language. The culture I was studying in that remote border protection zone was in fact the surviving fragments of a once-thriving rural economy and culture. Every village on the peninsula had decreased dramatically in size since the census of 1934: the population had never recovered from the war, the deportations and the exodus of the local Swedes. And the people in those bedraggled villages no longer knew what they had lost. The world that was lost had disappeared from history. This is no longer the case. In the past 20 years, Estonia has been good at history, good at memorialising the Soviet era and good at establishing a liberal democracy and civil society. This is in stark contrast to Russia, with its oligarchical capitalism and nostalgia for authoritarian communism, its violence, its dying villages and dismal life expectancy. There is an echo of the Soviet Union’s destruction of history in the crisis in Ukraine: in the minds of Russian nationalists, Russia’s enemies are always fascists, no matter what history tells you. The echo is faint, but it’s dangerous nevertheless, because the anti-fascist struggle is an ideal for which Russians are willing to sacrifice much. Sigrid Rausing’s book, “Everything Is Wonderful: Memories of a Collective Farm in Estonia”, is published by Grove Press. The article was first published by New Statesman. Cover: Estonian Swedes in the 19th century. Pictures: Wikimedia Commons and Estonian Maritime Museum. Sigrid Rausing is a Swedish philanthropist, anthropologist and publisher. She is the founder of the Sigrid Rausing Trust, one of the UK's largest philanthropic foundations, and owner of Granta magazine and Granta Books. In 1993-94, she did her PhD fieldwork, focusing on post-Soviet anthropology, on a collective farm in Estonia. Her book, a monograph based on her PhD, History, Memory, and Identity in Post-Soviet Estonia: The End of a Collective Farm, was published by Oxford University Press in 2004. Everything Is Wonderful, a personal memoir of her year in Estonia researching the remnants of the Estonian Swedes, was published by Grove Atlantic in the US, and by Bonniers in Sweden, in spring 2014.